Over night in 2011, Yemen had a new savior; the Moroccan Jamal Ben Omar, the UN Secretary General's Special Envoy to Yemen. He acted as a mediator to facilitate Yemen's peaceful transition and to establish the National Dialogue (ND) that is endorsed by Gulf Corporation Council (GCC). On March 18, Yemen held the Opening Ceremony of the ND as media sources continue to describe Yemen's transition as "unprecedented", the truth is, a similar, yet distinct, situation existed in 1948 in the North of Yemen. 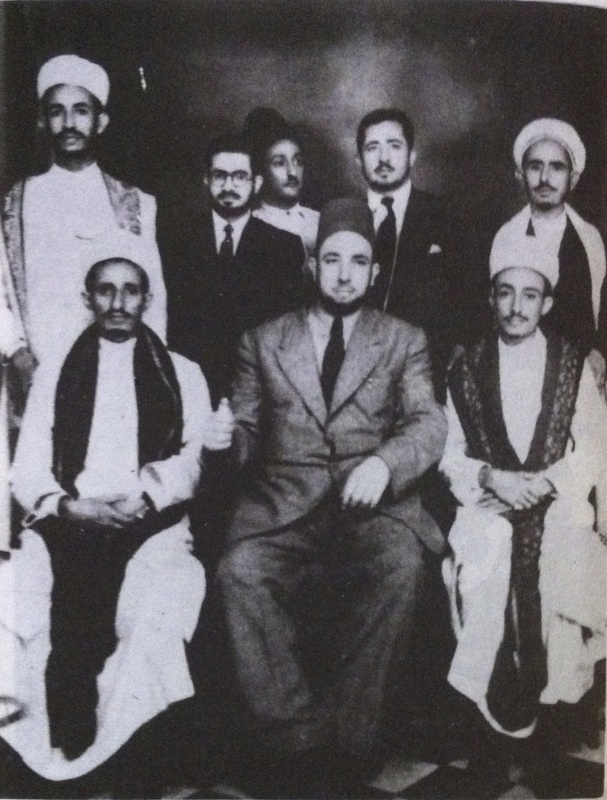 In 1947, Al-Fadheel Al-Wartalani, an Algerian, came to Yemen under the claim of launching a branch of an Egyptian ground transportation agency, but instead created the blueprint for a coup against Imam Yehya in 1948. He is not the only man from the Maghreb who traveled to Yemen in order to aid in the liberation of Yemenis from their dictator. Al-Wartalani and Ben Omar had roles that evolved from simple mediators to influential decision makers due to a vacuum in Yemeni leadership. Operating in Yemen 63 years apart, Ben Omar and Al-Wartalani, poles apart in their politics, have much in common. They are Yemen's revolutionary symbols who behaved on the surface as impartial outsiders. In reality, the were essential mediators and charismatic opportunists. Many Yemenis to this day are unaware that Al-Wartalani is a foreigner due to his popularity amongst the Muslim Brotherhood networks. He was sent to Yemen as an envoy by the founder of the Muslim Brotherhood, Hassan Al Banna, to help launch a chapter in Yemen. Therefore, Al-Wartalani arrived to Yemen via Aden, networked and created strong alliances within the Imam's opposition and was a key participant in the Yemeni coup against him. Due to Al-Wartalani's charismatic personality, he was able to give various speeches at Mosques and schools. He began building alliances with influential Yemeni figures like Abdul Rahman Al Iryani, Zayid Al- Moushki, Ahmed Al-Shami, and Hussein Al Kebsi, to name a few. Al-Wartalani's advantage over other foreigners was his Arab ethnicity. The cultural similarity helped him understand Yemen's political circumstances better than the average spectator. Al-Wartalani deciphered Yemen's complex coalitions and discovered that Yemen's opposition was unorganized and lacked the presence of a visible leader. Ironically, his second advantage is that he isn't Yemeni; he is not considered part of any of the clashing political factions in Yemen. Overtime, Al-Wartalani masterminded the National Charter (Al Mithaq Al Watani) and was able to unite Al-Zubairi and Noman with Al-Moushki and Al-Shami. Outside of Yemen, Al-Wartalani had contacts with the Saudi Monarchy and tried to gain the support of the Arab League (who never entirely supported him as much as they do with Ben Omar). Ultimately, he transformed himself, with the support of Yemenis, from an international actor to a national actor. "In my opinion, the Algerian Jihadi Mr. Al-Fadheel Al Wartalani, is the one who changed the course of history in Yemen during the 4th Century when his feet landed on Yemen's Soil. As if he pressed on a button that turned the wheel of history into a new round of a new direction. The Revolution of 1948 is all Al-Wartalani's construction"
Al-Wartalani's Revolution in Yemen failed. As a consequence Al-Wartalani and Co. were sentenced to death. While this sentence was carried out on Yemeni citizens, Al-Wartalani was able to flee and eventually settled in Lebanon. He never had to suffer the consequences. Yemenis naively welcome outsiders as they are not tainted with political motives like insiders. Outsiders who are looking for influence find in Yemen the ripe circumstances for political manipulation and personal transformation. It is not a secret that Yemen is a tribal and religious country with high rates of illiteracy. Sixty years passed, and Yemen remained almost the same. Tribal expert Nadwa Al-Dawsari explains that it is part of Yemen's culture to seek a "neutral" arbitrator, as we truly believe they are unprejudiced. Yemen's revolution of 2011 is the innovative equivalence of the 1948 revolution, in that Yemen is still a political play ground for external agents. Today the GCC and the UN Security Council is akin to 1948's Saudi Arabia and the Arab league. While Saudi Arabia and the Arab League decided to abandon Al-Wartalani's plans, it is unlikely that the GCC reassesses their support for Yemen's transition. "Its the first time that politics is being made by the people and not just from backroom deals between political elites". Ironically, in 2012, Rathiyah Al-Mutawakil and Majid Al-Mathhaji resigned from the technical committee of the National Dialogue because Ben Omar interfered with the committee's decision making process. He made a "backroom" deal with some members from the technical committee of the National Dialogue and other opposition political figures to decide the mechanisms needed for selecting the participants of the National Dialogue. Not only that, but he announced these decisions to the media himself, bypassing the authority of the technical committee. Journalist Jumanah Farhat questioned Ben Omar's intentions and accused him of arranging fragmentary meetings with controversial politicians. Currently, Yemeni politicians who are in opposition with each other agree to communicate solely through Ben Omar, giving him great leverage over Yemen. A recent statement by the president of the Security Council warned Ali Saleh (Former President) and Ali Al-Beedh (Former Vice President and current Southern Hirak leader) of interfering in Yemen's transition. While the Security Council called out spoilers, it displayed favoritism towards those who were not called out, like Ali Muhsen and Hameed Al-Ahmar. Not only that; several confidential sources suspect that Ben Omar will continue to function as Yemen's main leader as long as he continues to manage the entire political process. Prior to becoming Yemen's revolutionary protagonists, both, Al-Wartalani and Ben Omar, had a murky past. Both were considered extremists; however on the other end of the spectrum, Al-Wartalani was a conservative (extreme right) and Ben Omar is a liberal (extreme left). Throughout their lives, they struggled with success in their own countries but found glory in Yemen. On a final and separate note, activist Atiaf Al-Wazir posted on her facebook that "no one will solve Yemen's problems but the Yemenis themselves". For Yemen's revolution to succeed, it needs to be respected as a grassroots evolution, otherwise we may find ourselves sixty years from now, looking for a new foreign hero. By Ismail Ben Ali Al-Akwaa. Vol. 4. Lebanon: Dar Al Fikr, 1995. 2397. Print.